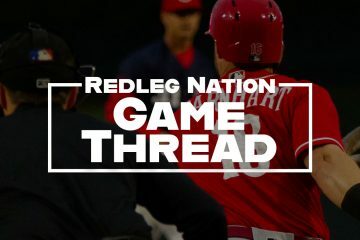 Wanna feel good about the Reds? My son, Zach, is 9 years old and just had surgery to help him keep from walking on his toes. He had just returned back to school this week after missing last week when the Athletic Director at the school noticed Zach’s casts on his legs and the crutches he was walking with. After I talked to the AD about what had happened, the AD surprised us by contacting the Reds office and somehow was able to get through to Dusty Baker’s office where he left a message and told him about Zach. In the message he asked Dusty if he could call my son to help lift his spirits and if possible maybe his favorite player, Joey Votto, could call as well. On the way home from school yesterday, my phone rang and it was Dusty on the line. He talked to Zach for a couple minutes told him that God would take care of him and really encouraged him. That was exciting but the best was yet to come! After we got home, the phone rang again and it was Votto calling to encourage my son! What a day he had! I really wanted to share this with you because I love to see athletes do something positive. Like every other Reds fan we have our complaints and criticisms so it is good to consider the good things that the team does. 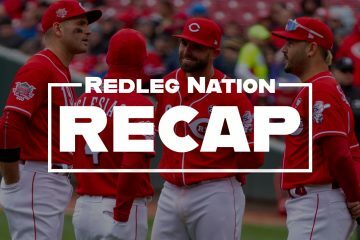 I really appreciate the Reds organization for what happened yesterday. They made the day really special for a 9 year old boy and made me realize that even if it has been a down season, there are some things that are more important. Dusty Baker is an awful, terrible, no good, very bad baseball manager…but he seems like a first-rate human being. Dusty Baker is an awful, terrible, no good, very bad baseball managerÃ¢â‚¬Â¦but he seems like a first-rate human being. It’s really cool that Votto called him as well. On another note, is John Lackey really as big of a d-bag that he looks to be right now? There is a lot to admire about Dusty Baker and Joey Votto. Very classy of Joey Votto too. Votto is so intense and tightly wound that he’s a little scary, but he seems to be a classy guy. And the Reds organization, especially if you compare it to the days of Carl Lindner and Marge Schott, does a lot of things (not necessarily winning) the right way. There are only a few teams that can make the playoffs every year and there is only one team that can win it all. It is great to win, but I think it also really makes a difference to be role models for young people. Even when you’re not winning. I’m glad that the Reds, Dusty and Joey take that seriously. I agree that Dusty seems like a fine human being. I just wish I could believe in him more as an astute manager. I just don’t any more. Joey, I think gets a little too much guff for being uptight. He is a hard worker if not a perfectionist. I think we all appreciate the outcome of that. I wish some more players had just a little more of that intense drive and focus. Joey also seems like a real gentleman. I wish a Drew Stubbs had less. He thinks too much for his own good. As for John Lackey, I’d like to hear some more details about him allegedly ‘Gingrich-ing’ his wife before passing judgement, but at face value, it looks worse than his pitching….which is godawful. Oh, and now I get to read on Fay’s blog about the ‘serious mutual interest’ between the Reds and Cordero. As if the end of the season isn’t depressing enough, I won’t even get to busy myself by entertaining all the releif pitching options that exist this offseason. Walt is gonna shortcircuit that process by overpaying a washed up closer. Now is the winter of our discontent, indeed. Awesome story. Tip of the cap for Dusty and Joey for taking the time out to put a smile on a Reds fans face. My theory is that cancer has given his wife a new perspective on things, and she’s realized that life is simply too short to spend it married to someone THAT ugly.